The Great Bowl O' Fire proves that taking a torch to a flammable gas storage tank can occasionally create something besides a massive explosion. 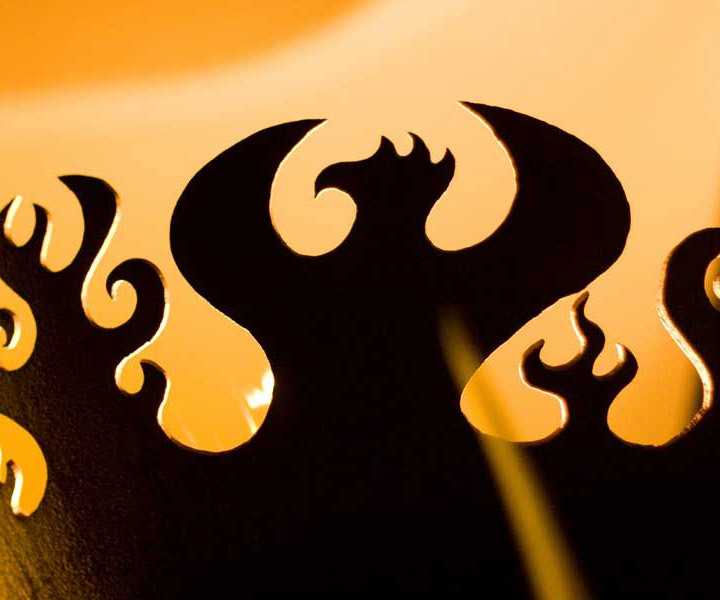 A closer look at sculptor John Unger's poetic take on flames housing flames reveals one stylized blaze in the shape of a phoenix rising through the embers. 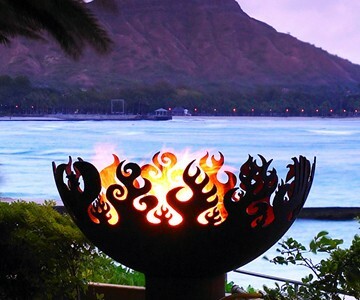 It's just one part of his firebowl's multi-layered metaphor for rebirth, and transforming entities and elements of destruction into beauty that enhances life. 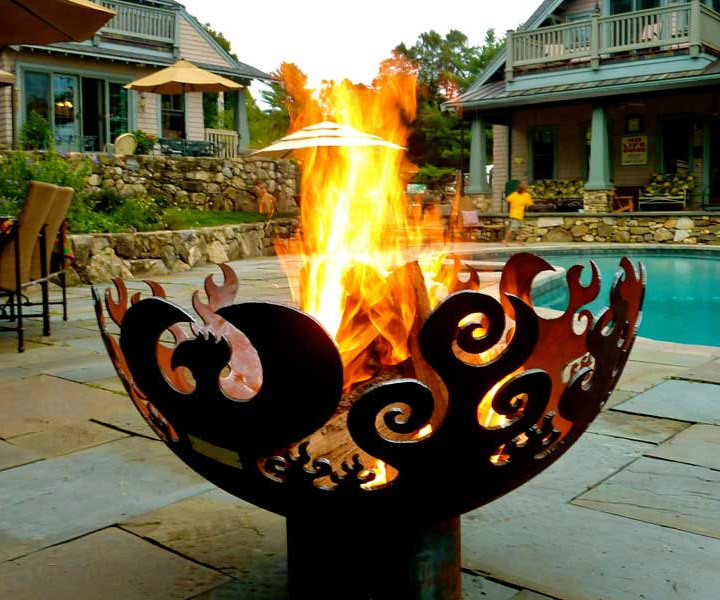 Each firebowl is hand-cut from recycled materials and finished in natural patinas of fiery reds, oranges, yellows, and blacks. Its raised configuration allows gatherers to keep their feet toasty beneath the rim, and warm the rest of their bodies around it without having to lean forward, possibly singing errant follicles of facial hair, or falling in entirely, thus negating the firebowl's metaphorical profundity about not killing things. Unger's artistry--and effortlessly-communicated passion--are so apparent in his work that the Great Bowl O' Fire has decorated the pages of publications ranging from The New York Times to Casual Living magazine. 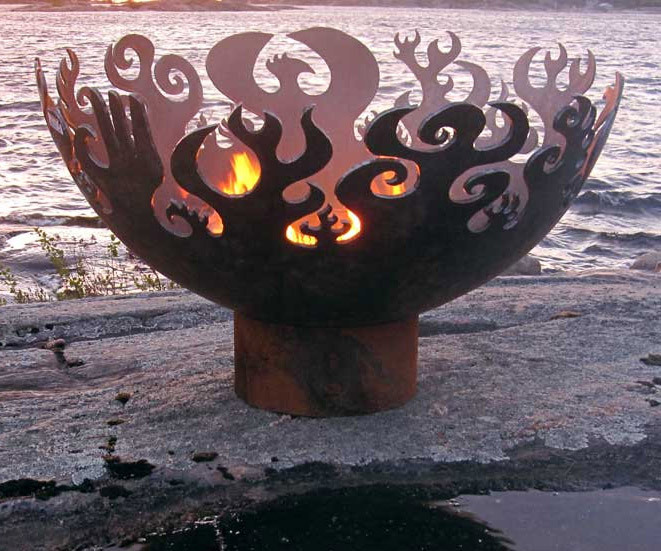 Unger draws flames and phoenixes free-hand, so no two Great Bowls O' Fire are identical, but each measures 37" in diameter and 22" high, with a base 12" in diameter. They weigh approximately 110 pounds. Bowls have a hole cut in their centers to allow for water drainage, or give buyers the option to upgrade to a gas burner.